I kind of wanted a tiara. 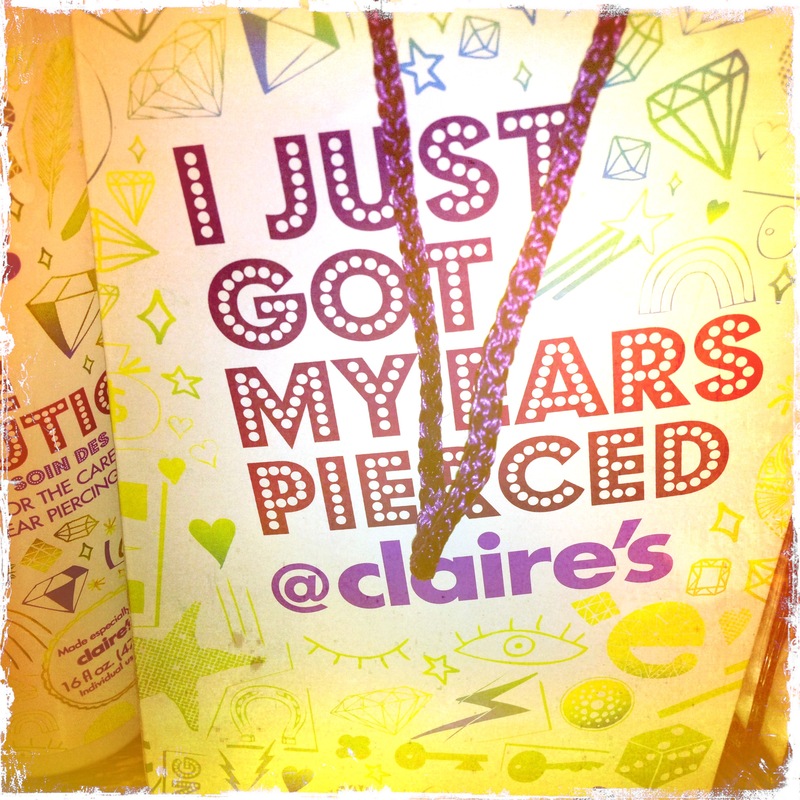 At Claire’s boutique, I picked out my earrings. I kept changing my mind—white gold posts vs. cubic zirconia vs. garnet—but the assistant manager was patient with me. It was the middle of a weekday, pre-high school rush. My situation was complicated. “I haven’t worn earrings in 20 years,” I said. “One hole has closed up but I’m not sure which.” Something I could have figured out beforehand if I’d known I was going. Probably I would have showered first too. But I was only at the mall to return a coffeemaker (I don’t want to talk about it), and on my way back to the parking lot something beckoned, all pink and purple and glittery. There was a Mirror Mirror promotion going on, and Claire’s window was filled with tiaras. “Maybe we’d better pierce both to be sure,” said Assistant Manager. “I also want a second hole on this side,” I pointed to my left ear. She pointed to a bar height chair in the window, and I sat down. There was a stuffed bear already sitting on the chair so I just perched on the edge. Then I shoved it back into the corner and tried to sit properly. The bear’s fat paws dug into my side so I held it out, thinking Assistant Manager might take it. But she was busy readying her equipment – setting out bottles and cotton balls, putting on her latex gloves, loading up little white plastic guns with earring cartridges. The plastic guns reminded me that I was about to get my skin broken. Would it hurt, like it did when I was a kid and my mom’s friend Lynn pierced my ears in her living room? “Oh, that’s why the bear is here,” I said, suddenly clutching it to me. Assistant Manager smiled. “Yep.” She approached my left ear and marked the spots with an official-looking blue pen. Then she held up a hand mirror for my approval. “That’s good,” I said, hugging my bear. I didn’t mention that by new technology I meant post-needle and potato. I’m pretty sure that’s what Lynn used, after numbing my ear with a cube of ice. “Hold totally still,” she said, and shot the earring through my ear. It didn’t hurt at all. None of them did. I sat the bear back in his seat, paid my seventy-four ninety-nine (it was free when Lynn did it), got my Claire’s ear cleansing kit, and went home. Mine were pierced in my aunt’s kitchen. A friend of hers who was a nurse did it with an IV needle and I don’t even think any ice was involved. I’ve planned a second hole on the left for years, but can’t get up the courage. Bravo to you! Lisa, if you’re anywhere near Chicago I would be happy to accompany you to Claire’s. It would be lovely to see you, and I swear it won’t hurt! Oh, this brings back memories of getting mine done! I wasn’t allowed to get pierced ears until I was 13 or so. It was a big deal. And I went to Claire’s as well.